On the face of it, running a company with no human bosses sounds like an implausible fantasy or a short-lived experiment. For more than two decades, Doug Kirkpatrick, formerly of The Morning Star Company in Sacramento, California, has been arguing otherwise, stating the case for self-management as a viable alternative to the traditional, hierarchical organization. Even for creative minds, this can be somewhat hard to visualize. The Industrial Revolution and its legacy of Taylorism have left us with the prevailing notion that organizations are shaped like pyramids, and that structure is set in stone. However, visionaries across many sectors are networking to amend this paradigm. First, a few stats. Morning Star is the largest tomato processing operation in the world. It transacts over $700 million per year and employs over 2,400 people (400 year-round). Its products, primarily industrial tomato paste and diced tomatoes, are ingredients in ketchup, taco sauce, spaghetti sauce, pizza sauce, steak sauce and a myriad of other products. Virtually every American has eaten Morning Star product. It also exports globally. It is a highly successful company. And it has no human bosses. This growth has come about steadily since founder Chris Rufer purchased land for his newly-conceived Morning Star facility in the late 1980s. He had an interesting concept ready to incubate on his initial 500+ acres of dirt near the town of Los Banos, California. He had acquired a great deal of business intelligence and was ready to apply it to the new start-up. Chris’ takeaway was that management time and attention often appeared to contribute zero to the bottom line. The conclusion had dawned that hierarchical management might be an unnecessary cost. In his new leadership role, the founder posed a whole new set of questions as his team brainstormed in a temporary trailer pitched on Morning Star’s construction site. Assuming management is too costly to afford, how can we maintain ourselves as a company? Could a set of common principles, instead of managers, serve to guide us in day-to-day decision-making? Two principles in particular, clicked together side-by-side, seemed to create their own internal logic and establish a commonly-understood basis for maintaining proper oversight and equilibrium in all of the company’s operations. 1. People should not use force or coercion against other people or their property. 2. People should keep the commitments they make to others. Decisions of all kinds, including capital investments, vendors and equipment maintenance belong to identified decision-makers, who agree to communicate and collaborate with relevant stakeholders. Morning Star wants to help individuals maintain their ability to get things done without going through layers of management or having to make a case up the chain of command. Doug Kirkpatrick is now traveling worldwide and speaking on behalf of this extraordinary company, its story and self management principles. June will see him jetting off to Copenhagen, London and Denver to attempt to satisfy a recent explosion of interest. What’s changed in the environment that leads people to be more curious right now? Doug cites three factors: global competition, the availability of live, liquid data and the lighting speed at which business must move to keep pace. Artists are thinking along parallel lines. Debbie Hesse, Program Coordinator at Connecticut’s Greater New Haven Arts Council, is interested in these alternative organizational structures. The Council’s Visual Artists Advisory Group discussed the topic Friday, May 17 at a newly expanded co-workspace on New Haven’s thriving Ninth Square, a state-designated hub of innovation (www.grovenewhaven.com). Among the best places to step into a circle of professionals from many sectors who espouse self-management principles is the annual Symposium sponsored by the Morning Star Self-Management Institute. This year’s symposium took place on Sunday, June 2nd through Tuesday, June 4th in Sacramento, California, and featured participants from across the United States, Russia, China, Brazil, Australia and Canada. Information about the symposium can be found at http://self-managementinstitute.org/symposia/. This year’s speakers focused on the networked organization as a source of discovery and innovation. Gabe Fasolino facilitated a half-day Open Space retreat for practitioners to explore how such insights apply to their respective leadership and organizational plans. Since 2008, Morning Star has maintained a community of practice known as the Self-Management Institute. Its mission is to develop superior principles and systems of organizing people, and to promulgate those principles and systems in the minds of client colleagues. Documents and data from the Morning Star Self-Management Institute are available to artists who wish to explore these ideas further. One goal is to develop an art exhibition delving into alternative organizational structures impacting today’s workplace. 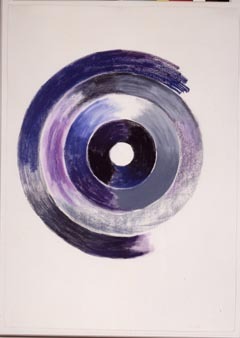 Interested artists may contact E. Slomba at artsinterstices@gmail.com and review source materials at http://self-managementinstitute.org/about-us/ . MANY THANKS to Doug Kirkpatrick for the generous interview he gave by phone on May 8, 2013 from his home base in Sacramento, California.